Sure, I like mac n’ cheese, as much as you do. But I was really surprised how much I like it mixed with bacon, broccoli, mushrooms and topped with a cheddar ritz crust! Or how about mac n’ cheese mixed with chopped brisket, turkey, or pulled pork? Or maybe caramelized onions, charred carrots, giardiniera, tomatoes, roasted garlic, cauliflower, or roasted Jalapeno? Or topped with a pork rinds, blue cheese, or potato chip crust? I’m not kidding, all of those ingredients are really on the menu, and you can create any combination your appetite desires at Rooster’s Kitchen. The restaurant, tucked away on the east end of Mass Ave in Indy, is a destination, not only for mac n’ cheese, but also for their in-house cured and braised meats. Rooster’s has a good variety of sandwiches, salads, craft beers (there's even a small bar area), and more. 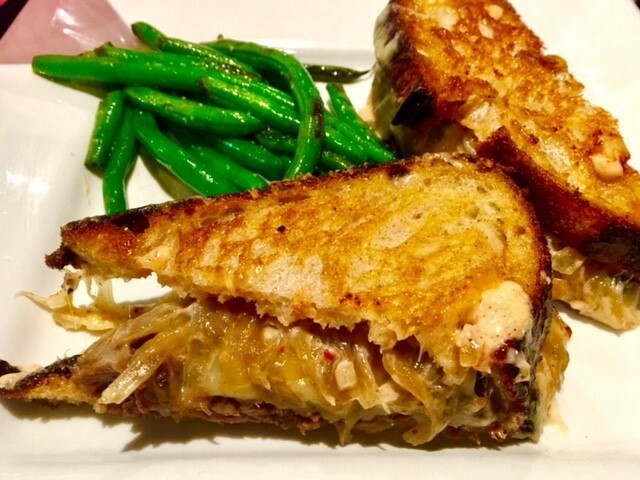 I had a very tasty and toasted "Brisket Melt" sandwich, which is chopped brisket, havarti, cheddar, and caramelized onions, with a side of green beans. 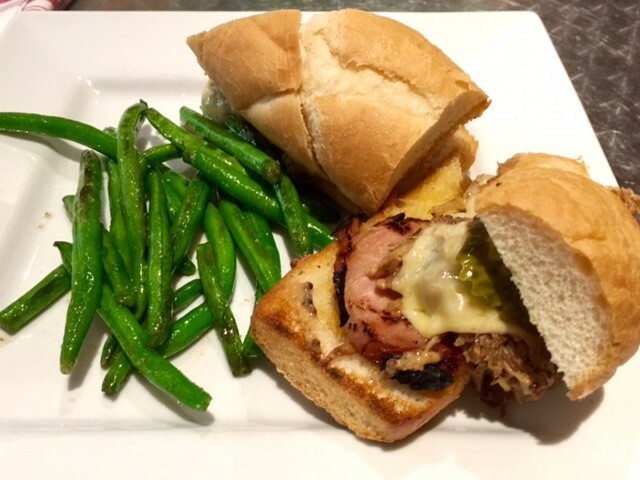 My friend Gant ate the “Lucy" sandwich, which is roasted pork, havarti, house cured pork loin with mustard and pickles on a French roll. Between bites, he couldn’t stop raving about how delicious it was. 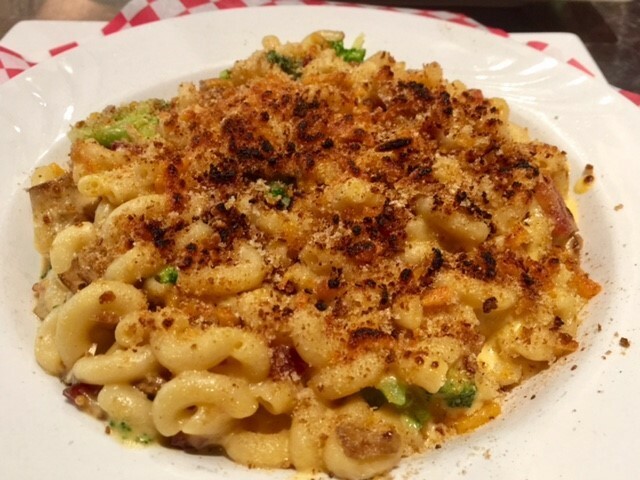 We also had the mac n’ cheese with bacon, broccoli, mushroom and cheddar ritz crust, I mentioned before. I liked the fact that the ingredients didn’t overpower the mac n’ cheese taste itself, but held their own unique flavors, blending together nicely in each spoonful. Rooster’s Kitchen, 888 Massachusetts Ave, has a casual flair. The exposed brick, dark floors, and blonde wood chairs gives the place lots of character. Have you visited Rooster's Kitchen? Tweet me your thoughts and photos to @ErickaFlye .